"Play it on whatever system suits you and crank it up,” says Hagar, “it rocks like the rest of the album!" 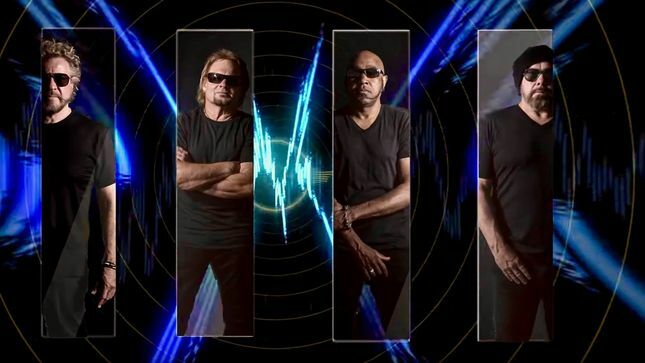 Due May 10, the project marks the first full studio release by the band, which also features bassist Michael Anthony, drummer Jason Bonham and guitarist Vic Johnson. In sync with the record’s arrival, the group says they “will mount a large-scale tour of North America in support of the new album in the spring”, with album and live schedule details to be announced. Hagar & The Circle issued a live package, “At Your Service”, in 2015; the set presented a collection of tracks by Hagar, Montrose, Led Zeppelin and Van Halen as captured during a 2014 tour. Hagar was recently named the No. 9 Rock News Artist Of The Year as part of the 2018 hennemusic Rock News Awards.